I gave the new Art Museums definitives of Austria a wide berth initially, because they didn’t really appeal to me. Compared to the beauties the country used to issue, these looked rather dull and uninspiring to me. 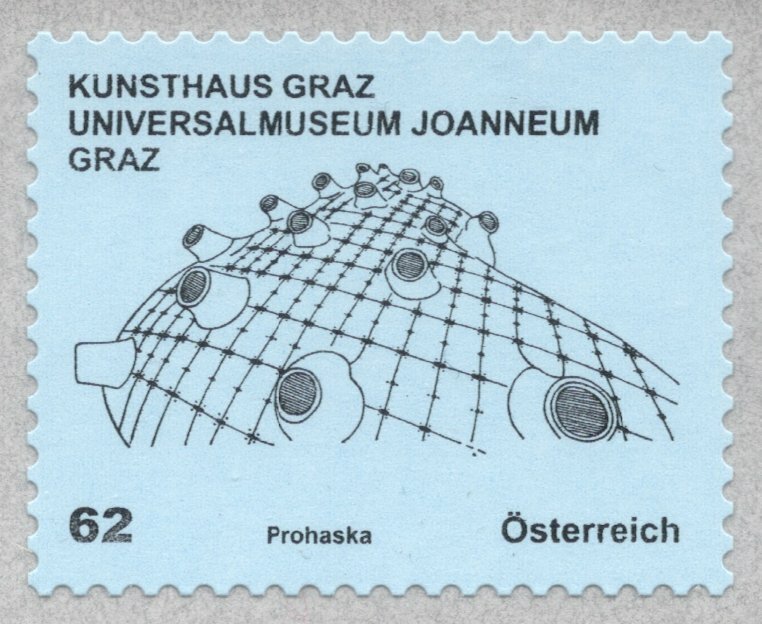 But as so often, I was proven wrong, for when I read about them in a recent magazine of the Austrian Philatelic Society, they sounded interesting enough to warrant a closer look. The thing is that even though the set was only introduced in May of last year, we've already had a number of changes which makes it an interesting set to collect. First of all, the stamps have changed in size, becoming slightly larger. I've only seen this on the self-adhesive coil stamps so far, so I'm not sure whether the self-adhesive booklets will change in size as well. So far, any new booklets I have seen were of the same size as the original ones. I'm also not sure whether the only ordinary sheet stamp, the 5c, has undergone any changes. I'm not even sure whether that value is still for sale, to be honest. Another change which so far I've only seen on the coil stamps is the inclusion of a security print. 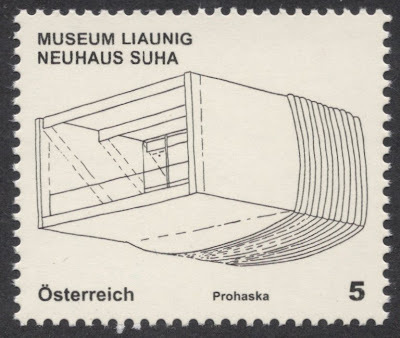 Slightly similar to what we have on the Machins now, but on these stamps the print consists of the Austrian Post logo: a posthorn followed by the word Post. The original version on the left and the reprint with the architect's name included on the right. The design itself is also undergoing changes. 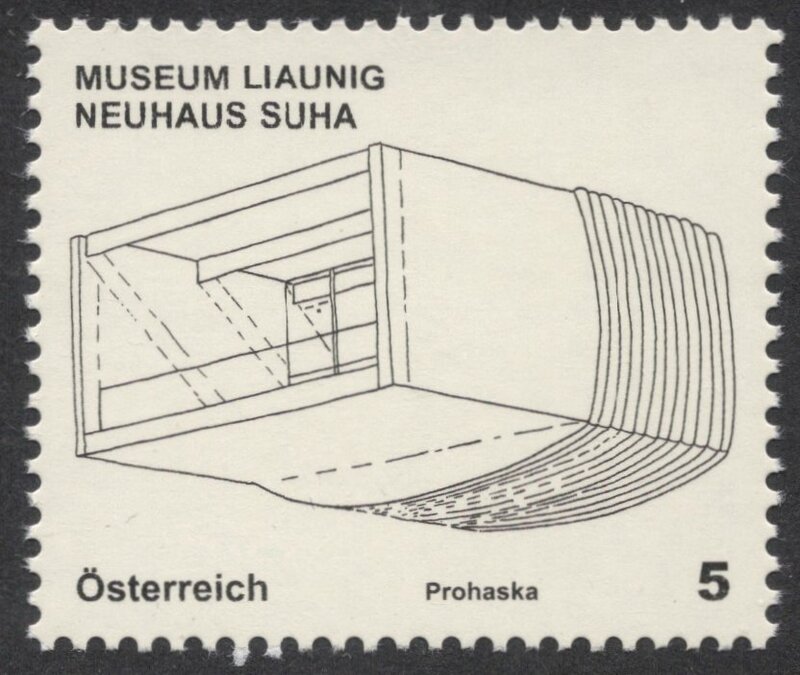 With all this modern architecture being showcased, it is only fair to include the name of the architect in the design, especially since the public tended to think that the name Prohaska, which appears on the stamps, is the name of the architect. 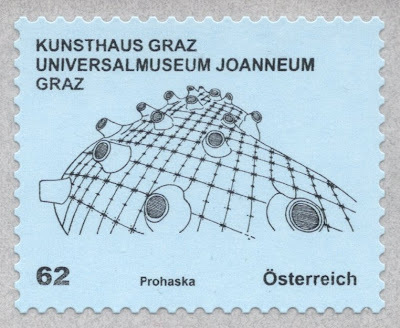 Rainer Prohaska, however, is the designer of the stamps! Talking about the design: for some reason (it has not been explained yet why) each design includes the morse code for the letter K: dash dot dash. You'd never notice it, but once you know it's easy to spot. Found it on the 62c yet? So within a year we've already seen so many changes and reprints that this turns out to be a great set to try and find all the varieties of. And as it's a definitive set, you may be able to find loads of them in kiloware, giving you a better chance of finding all the different stamps. I should think that that more than makes up for its slightly dull design. Though I must admit it does grow on you! I am a big fan of Austria but have to say that this set, when I saw it, struck me as very peculiar. Very much a "devil in the detail" stamp. They were placed in a stock book with a "I'll investigate these later" thought. My thoughts exactly. But, obviously, that time has now come! Hey, I for one like these stamps. Very modern and well suited to the new breed of museums. I have been to Austria a few times, and especially to Vienna. My favorite museum there is the Leopold museum in the former royal stables. Don't think there is a stamp for it. Austria has always been in the forefront of culture and art; this set stays within this tradition. Alex, if you take a look at our 'Collecting Art on Stamps' forum thread, you'll see an interesting stamp I've just uploaded!